But read these lines and really learn, the proper kind of logs to burn. HAWTHORN logs are good to last, if cut in the fall. 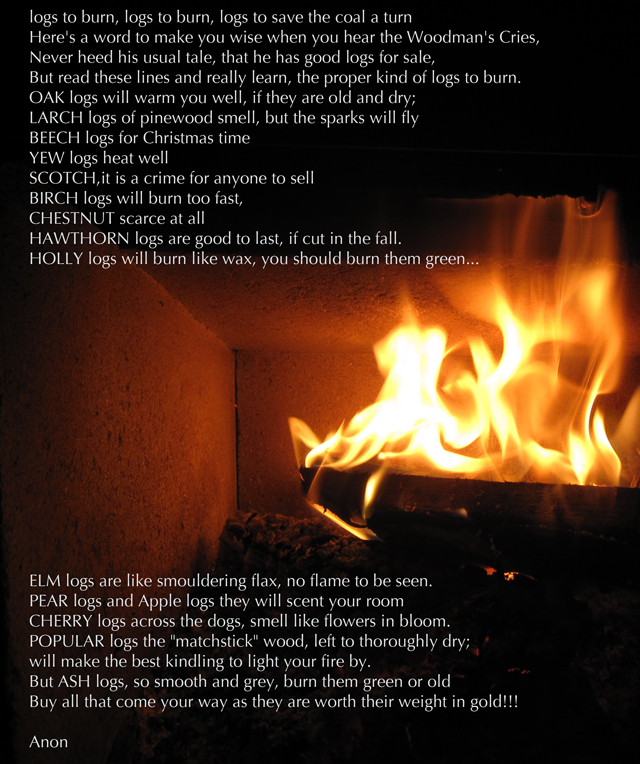 ELM logs are like smouldering flax, no flame to seen. CHERRY logs across the dogs, smell like flowers in bloom. POPULAR logs the “matchstick” wood, left to thoroughly dry; will make the best kindling to light your fire by. Buy all that come your way as they are worth their weight in gold!! !